As a sports photographer, I constantly have an opportunity to put the Sony Alpha line of camera gear to the test via various locations and lighting situations. I am also fortunate to cover a wide array of sports but my focus is on my passion - Football! One advantage that the Sony Alpha line of lenses gives me on the sidelines is versatility when I use the Sony 70-400mm f/4-5.6 G2 lens on my α7R II body. This zoom range provides me great opportunity to always compose an image without having to change to a secondary camera - thus never missing moments of the action. 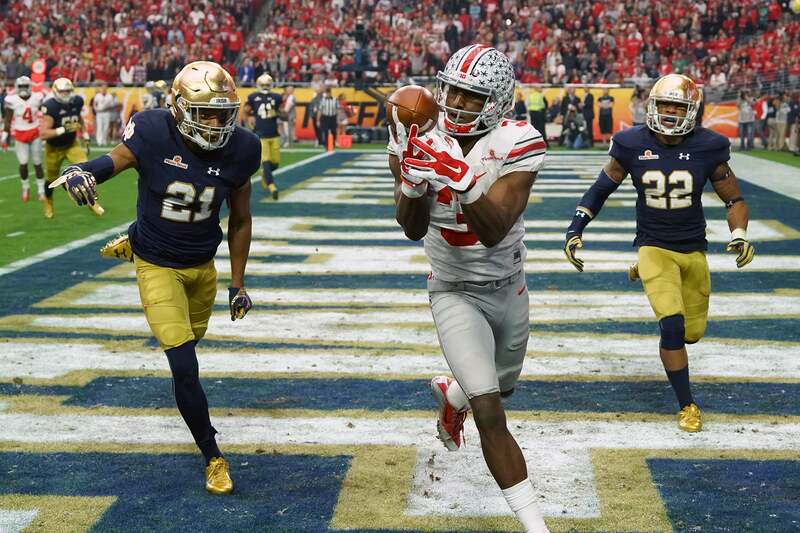 Below are 3 photos that are examples from the 2016 Fiesta Bowl, a match up between Ohio State and Notre Dame, that show how I use this lens in big-time sports events. I started the play tracking on the quarterback, who was near the 40 yard line. At that point I was at 400mm. He unleashed the pass in my direction. 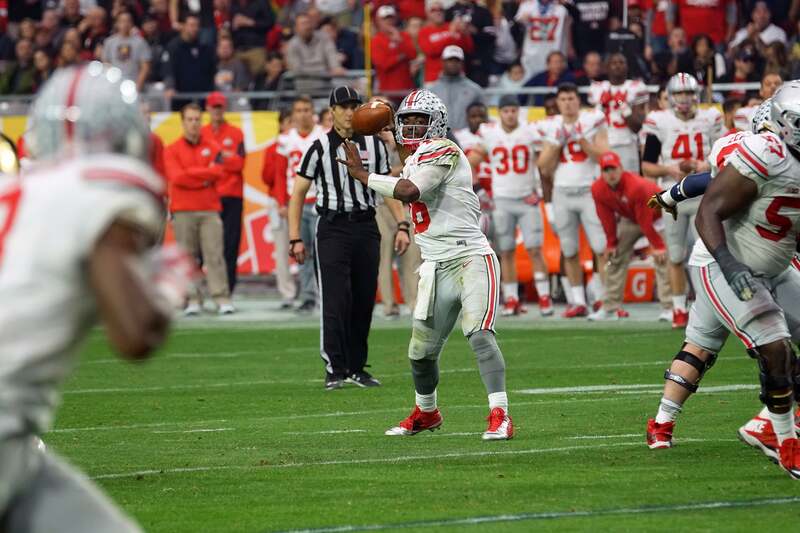 As the ball was in the air, I zoomed out to 70mm to find the players in the in the end zone and nail the moment. The receiver dropped the ball, but the 70-400mm lens paired with the Sony α7R II caught all of the action. As I write this my batteries are charging and I am mentally preparing for a another NCAA Bowl game - the Cactus Bowl. 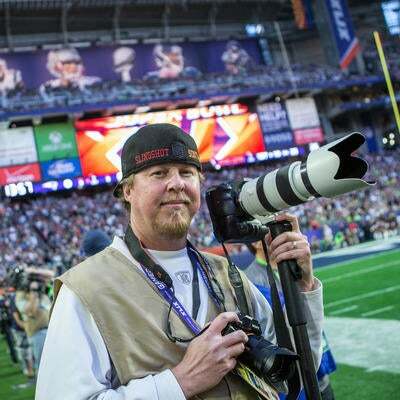 Then back to the the pros on Sunday to cover the Cardinals last home game of the season against the Seahawks. I love this time of year!